Bard of Avon’s “As you like it ‘begins with intriguing phrase “All the world’s a stage and all the men and women merely its actors”. These actors, after playing six different acts grow older and finally exit from all stages of life forever. However, the older-stage is one, when their condition becomes miserable. Once an infant and child himself, he now wants infants and children around him to play with. The Lover of past, now desires to be loved. The Soldier and judge of his times now wait for helping hand and decision of others. Ageing being natural and inevitable, this happens with everyone provided death- A spiritual being won’t call beforehand. Thus, we all at a certain point of time need others irrespective of our stature. Around us, there are thousands of people playing the last role on the stage. Some are managing it perfectly but a big chunk of the population is suffering. They have no one around that they look for. They don’t find the support which they need. They don’t get the love they desire of. They miss the people who could make them smile. Some live isolated lives even while living with children and some desire to live at their home but they cannot. Currently all around the globe, the rights of these Old (senior) citizens are being crushed and are not provided with what they deserve. They face all sorts of problems including psychological, financial and social as well. The name “Old Age Home” speaks volumes about our insensateness. The increasing number of old-age homes in India is alarming depiction. In a bid of getting the materialistic recognition, we ignore those who make the foundation of our life, who teaches us to talk and talk and bear discomfort for our comfort. For our bright future, these altruistic entities sacrifice their present. They pin hopes that their old days would be better because of us. But at the end, things go diametrically opposite when they are left to wither in old-age homes. This leads to psychological problems that they later fail to withstand. Most of these citizens face financial problems. While living with their family, they are deprived of their basic rights. They don’t get proper care and attention from family members thus languish for rest of life. These people who nourish their family by putting their sweat and blood finally become the burden for them. Those who spend their earnings for the prosperity of wards later fail to fetch much-required medicines from them. Socially also, these people are marginalized. With exceptions, most of the people show aversion towards them. Their company is not preferred. Owing to their experience if they try to share their views or advice on any issue, their voices are gagged. At some places, they are unstated in the society. Mental disorders including poor memory, intolerance, incoherence etc are very closely associated with old-age and are normal but instead of handling the situation we make them feel more unpleasant through our approach. We lose our forbearance if old-person repeats his question. If he fails to understand us, he faces contemptuous laughter and ridicule. There used to be days when the youth would offer his bus-seat to the old person. But nowadays they are seen standing throughout the journey. Though in public transport, seats have been reserved for them yet they suffer because of negligence. In public offices, they are seen waiting in the queue with others having no feelings about their age and health condition. Every religion emphasizes rights of senior citizens especially old-aged parents. There are religious-personal laws for the protection of their rights like Hindu adoption and maintenance Act 1956.Likewise, Muslim personal law and Christian & Parsi law are existing for providing them maintenance, implying that every religion has the special code of conduct for senior citizens. The constitutional law like “Maintenance and Welfare of Parents and Senior Citizens Act 2007” has also been formulated for protection of their rights but is not this a shame, that respect for parents and senior citizens is not evolving from our conscience rather they depend on the law to have a respectable life. And much brazenness comes to sight when even laws are violated and these people are singled out from societies, communities, and families. 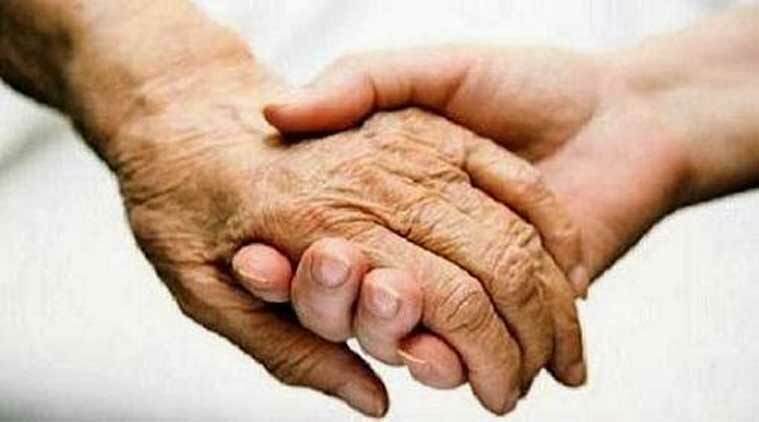 According to the recent report from the ministry of social welfare, only 100 people mostly males are living in four old-age homes in Jammu and none in Kashmir valley which is inspiriting if compared to rest of Indian states. However other problems faced by senior citizens here in the family, public places etc also need to be resolved. We need to realize their significance and must give them due importance. Their rights must be kept in view so that they can live much deserving honorable life. We must remember the golden rule; Treat others how you want to be treated. If we desire of liss in old-age we need to provide same to old-people around us. Also by dealing them with admiration and esteem, we can set a precedent for others and generation to come.